The testimony of expert witnesses is often a deciding factor in the outcome of personal injury lawsuits. It is obvious to a judge, as to any reasonable person, that the plaintiff has been injured. What is less obvious is that the injuries could only have resulted from negligence on the part of the defendant. Both parties can call witnesses to prove or disprove the defendant’s negligence. Fact witnesses are ones who say what happened. In personal injury cases, they might be witnesses who were present at the time of the accident, or they might be physicians who treated the plaintiff for his or her injuries at some point. Meanwhile, the role of expert witnesses is to provide an explanation for why the events, including the plaintiff’s injuries, happened. In personal injury cases, expert witnesses are often physicians who work in a subfield of medicine related to the plaintiff’s injuries, although they might not have personally treated the plaintiff. Things can get complicated regarding what is appropriate and relevant to ask an expert witness during a trial. These are some Florida cases that ran into complicating issues regarding the testimony of expert witnesses. Vargas v. Gutierrez – Monica Gutierrez underwent a kidney transplant at the age of six, and her parents sued Dr. Jose Vargas, her primary care pediatrician. They claimed, following a diagnosis received from a physician who treated Monica in the hospital, that Monica’s kidney failure was the result of a slowly progressing kidney disease that Dr. Vargas had failed to diagnose, because he did not test Monica’s kidney function for the three years leading up to her acute kidney failure. His defense was that it was because of a rapid onset kidney disease that he would not have been able to diagnose even with routine tests. At the trial, Monica’s family called several pathologists as expert witnesses to testify about what had caused Monica’s kidney failure. (Ultimately, analyses of her kidney biopsies were inconclusive.) In an appeal, the court sided with Dr. Vargas, because the rule is that a party in an injury lawsuit (including medical malpractice) can only rely on one expert witness per subfield of medicine. Katzman v. Rediron – Dr. Scott Katzman is an orthopedist. A personal injury lawyer referred two patients to him who were suing the manufacturer of the vehicle that they claimed caused their accident. Dr. Katzman was not a party in the original lawsuit, but rather testified as a witness. The proceedings resulted in what he claimed was an undue burden on him as a witness, including what he considered unfair scrutiny of his dealings with the patients’ insurance companies. Dr. Katzman eventually sued the vehicle manufacturer, the defendant in the original lawsuit. Howard v. Palmer – Jeffrey Howard sued Basil Palmer, the driver of a car that collided with his, causing Palmer’s injuries. One of the doctors who treated Palmer for his injuries was one to whom his personal injury lawyer referred him, and this doctor was a witness in the case. The court determined that it was prejudicial to reveal that Palmer’s relationship to the physician was because of the lawyer’s referral. An experienced personal injury lawyer knows how to use physicians’ testimony to strengthen your case and understands what is and is not permissible in working with witnesses. 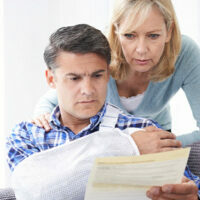 Contact Bundza & Rodriguez in Daytona Beach, Florida for a consultation about your personal injury case.